Ebitabo ebirala Ssesimba by’awandiise mulimu Nsimattuka Amagombe ekiteebereza obulamu omuntu bw'ayinza okuyitamu ng'ali emagombe era ekibuulirira okukolerera obulamu obuddako. Kino kya miko 160. Waliwo Obutamanya bwe Buyiggisa Embwa Effumbe. Kino kirambika embeera eya bulijjo gye tuyitamu ng'abantu abandibadde abooluganda bagugulana mu butamanya. Ekikyasembyeyo akituumye Empologoma ku Nnamulondo ky’awandiise ng’ali mu S4. Kikwata mu bukyayi abantu bwe balaga Obwakabaka naddala obwa Buganda ne kibuuza n’ekibuuzo ekisoomooza: Ggwe kiki ky'okoze okuyimirizaawo n'okukuuma ekitiibwa kya Buganda? “Kati mpandiikayo ekitabo ekirala, Obuddu mu Nsi Yange n’eky’Olungereza kye mpise, I Wish, ekiraga engeri abantu gye bayita mu nsi ey’okwekubagiza n’okwejjusa. Ekirala, Yields Of My Seeds kiyigiriza abavubuka okukozesa obudde bwabwe mu ngeri gye basobola okuganyulwamu nga bakaddiye. Kisomesa omuvubuka okwagala eddiini ye, okwegerera nga bagenda mu beetiingi oba okwekatankira amagengere,” bw’agamba. Ssesimba agamba nti by’awandiika abiggya mw’ebyo by’alaga ne by’awulira eyo gy’aba atambulidde. “Okugeza bwe ndaba owa bodaboda ng'avuga endiima nfuna ekirowoozo nti ayolekedde akabenje, okufiirwa obulamu n'ebintu. Olwo bwe ntegereza nga nnyinza okuwandiikako ekitabo ekiyamba omuntu ng’ono nga nkikola,” bw’agamba. Agamba nti talyerabira jjajjaawe Saidat Nabukenya eyamukuza era eyatunda ente ye ku 300,000/= ze yamuwa okukubisa ekitabo kye ekyasooka ng'abantu bangi baali bagaanyi okumuyamba. Kitaawe ye Isma Kiyemba Birungi, makanina wa mmotoka mu Nyendo e Masaka ate nnyina ye mugenzi Mariam Kizza eyafa mu 2002. Yasomera mu Kimanji P.S e Kalangala; Victory Town School e Kyazanga mu Lwengo; London College Nansana omwaka oguwedde nga kati ali mu S5 ku Kololo High School gy’asoma History, Luganda ne Divinity. Yeebaza Ssentebe wa disitulikiti y’e Lwengo, George Mutabaazi, kansala Mark Turyejuka owa Lwengo ne Moses Musasizi owa MK Publishers b’agamba n ti bamuyambye okukuza talanta ye ey’okuwandiika. “Nsoma nnyo obutabo, ate kati njiga n'okuzannya katemba n'okuwandiika emizannyo mu kibiina kya Tendo Sisters ne mu Honest Film Productions.’, bw’agamba. Civil society organizations have asked Parliament to expedite the debate on the Minimum Wages Bill 2012 in order for it to come into play. Their call, presented by Platform for Labour Action (PLA), is said to be based on research in which 100% of the respondents supported the need for a minimum wage and called upon government to revise the current minimum wage to enable them improve their livelihood and access to basic necessities of life. Under the employment policy, in order to improve labour administration and labour standards, one of the strategies to be adopted by government is establishing a Minimum Wages Advisory Board to undertake research on the impact of minimum wages on employment and productivity and wage trends in key sectors. The minimum wages advisory board was constituted in 1995 to review the prevailing minimum wage and make recommendations to cabinet on the same. Lillian Mugerwa, the executive director of PLA, told New Vision on Saturday that the board’s recommendations which included the proposal to have a minimum wage were gazetted in 1997 but have never been implemented to-date. A minimum wage is the lowest hourly, daily or monthly remuneration that employers may legally pay to workers. It is intended to enable a worker afford basic necessities of life such as shelter, food and health care. It is further intended to ensure that the least paid workers are in position to afford a decent life. Article 23 of the Universal Declaration of Human Rights affirms that everyone has the right to work, to free choice of employment, to just and favourable conditions of work and to protection against unemployment. 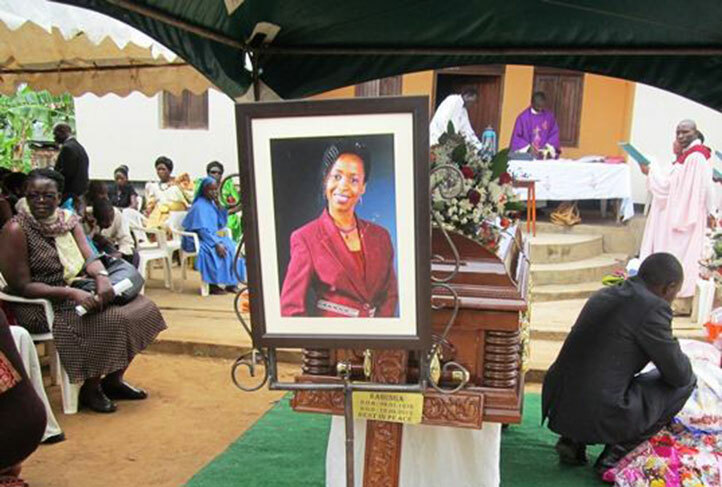 As Mugerwa explained from her office in Bukoto, Kampala, the national laws equally uphold similar values such as the right to a life of dignity as enshrined in the Ugandan Constitution and other international instruments to which Uganda is a state party. 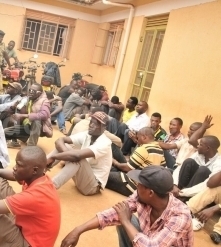 In a 2013 study that was conducted in seven districts of Kampala, Mukono, Iganga, Lira, Amolatar,Dokolo and Kaliro, voices were sought from a cross-section of workers who included domestic workers, teachers, security guards, tea estate workers and market vendors. According to the research, workers at a tea estate in Mukono complained that they were earning sh1,000 per day – which is less than a dollar and well below the poverty line. Another extract from the study is the case of a security guards strike, with one of the strikers quoted as saying: “We are protecting billions, but earning a mere sh140,000 [per month] which cannot pay rent and school fees for my children. We want a reasonable salary”. However the Minimum Wages Bill 2012 has not yet been presented on the floor of Parliament to-date owing to a delay by the ministry of finance to issue a certificate of financial implication. Although contentious, the bill proposes that minimum wages boards be set up to sectoral level so that wages can be determined depending on the needs of each sector. The bill also proposes penalties for failure to comply with the minimum wage and calls for the repeal of the Minimum Wages Advisory Board and Wages Councils Act Cap 221. According to Mugerwa, the position taken by government to delay establishment of a minimum wage is not in line with the National Development Plan 2009/2010-2014/2015, which highlights the establishment of a minimum wage for decent income, improved productivity and increase in aggregate demand for goods and services. The 2009/2010 labour market survey showed that 2.7 million of the people living below the poverty line (7.5 million) are termed as the working poor. They earn a median monthly income of sh50,000 and sh54,000 for casual labourers and workers in the agricultural sector. PLA is working together with such organizations as Hurinet-Uganda, LASPNET, NGO Forum, DENIVA, USPP CRO –Jinja, Uganda Law Society, FIDA, National Union of Disabled Persons in Uganda, Uganda Women's Network and CEDOVIP to lobby government to establish minimum wage. Living on a dollar a day: How far has Uganda tackled poverty? Matayo Karuru, his wife Ms Beatrice Tumuhaise and their children at their home in Katamba Biharwe, Mbarara District. The family is hardly able to afford decent housing or education for their children, let alone meals. In 1993 when Eliezer Magezi dropped out school he had his eyes set on processing honey. He had grown up in a family whose source of income was selling honey, so he was determined to do what he had learnt as a boy. However, when he started out, things were not as obvious as they had earlier seemed. Magezi started out small and his objective thereon was to get farmers to come together and start processing honey as a group as one way each of them could benefit from the advantages of collective marketing and selling. Bunyangabu Beekeepers Cooperative Limited (BBC) was born. He explains, “The idea was simple. There were beekeepers but they were scattered. We spoke to them about the need of coming together to process honey. They had been selling their honey using rudimentary methods, one of these being using a spoon.” BBC would also use mosquito nets and buckets to sieve the honey from combs. But this is a yesteryear story. With hard work, commitment and focus today Magezi leads fellow farmers. He is proud of the fact that their sales have grown from a mere half a tonne of honey to 13 tonnes annually. This has been with support from United National Development Programme (UNDP) through their partners Support Development of Inclusive Markets in Tourism, the group that helped link them to Andrew & Brother’s supermarket which buys their honey. His story is not different from a good number of rural poor. Many people are actually using their time enterprisingly to better not just their lives but those of others with whom they share business aspirations and interests. In her speech during the reading of the Budget, Finance minister Maria Kiwanuka said the proportion of people living below the poverty line has declined from 56.5 per cent in 1992/3 to 24 per cent in 2009 and further to 19.7 per cent in 2012/13. This, she added, indicates that Uganda has already surpassed the Millennium Development (MDG) target of halving the proportion of its population living in extreme poverty by 2015. “This is the first and most significant MDG,” she said. “As Uganda celebrates progress with the MDGs, our work force is growing due to better life expectancy and social service delivery. Their pathway to stable value-added employment is our economy’s opportunity but also our challenge. SMEs are critical in creating jobs and mobilising the informal and rural economic activity,” the Finance minister read from her speech. She added that government needs to implement the Skilling Uganda initiative in the business, technical and vocational education training with an emphasis on provision of hands on technical skills training, business skills development, and re-orienting the mind-set of potential entrepreneurs as well as enhancing financial literacy and inclusion. As government works towards achieving MDG 1, the likes of Magezi and BBC will look to them to keep their promises. According to UNDP, Uganda has made great progress in terms of reducing the proportion of the population below the national poverty line. The poverty headcount- the share of people living in households below the poverty line- declined from 56 per cent in 1992/1993 to 31 per cent in 2005/2006. “Using the former survey as the benchmark, this means that Uganda is well on its way to meeting the 2015 global target of cutting poverty in half, which would correspond to a poverty level of around 28 per cent for that year,” the UNDP assessment report reads in part. According to the UNDP report, the poverty gap, a measure of how far the poor are below the poverty line, has also narrowed. This, it adds, is an indication of improvements in monetary welfare even among those who have not risen above the poverty line. “Uganda is five points away from the expected target for reduction of the number of people living on less than $1 a day. Between 1990 and 2012, Uganda reduced hunger by 15 per cent. However, there were set backs in the reduction of under nutrition which increased by 30 per cent in that period,” the report states. In the State Of The Nation address, however, President Museveni gave a rosier picture, saying Uganda has achieved economic growth. “Consequently, the proportion of people living below the poverty line has further declined from above 56 per cent in 1992 to 24.5 per cent in 2009/10; and now to 19.7 per cent in 2012/13. Uganda has, therefore, already surpassed the first MDG target of halving the proportion of the population living in extreme poverty by 2015,” he said. However, Kiddu Gozanga, a field research for Hunger Free World Uganda, an international NGO working to build a world free of hunger, says research that was carried out in June last year in Namayumba and Busukuma in Wakiso District, in central Uganda showed some pitfalls. Gozanga explains that from their findings, there were overall changes in household welfare as they had experienced a significant growth in consumption expenditure since 2000 when the MDGs were set. Central Uganda had registered an increase in consumption while northern Uganda showed a decline in terms of income. While there has been some success in meeting MDG 1, challenges remain. The government, therefore, needs to find solutions. It also needs to encourage in various ways, individuals who can commit themselves to work hard and smart like Magezi to find solutions that can earn them a source of livelihood and change their lives for the better. In the African country of Uganda, billions of shillings are well located for the privileged few as ordinary Ugandans are un able to obtain quality medical treatment. And they soon die. Shortly before he passed away, a frail Bbale Francis, a legendary news anchor on Uganda television, was forced to record an appeal to the public to raise funds for his treatment at a hospital in India. For such a renowned figure, being reduced to begging for money for treatment was a slap in the face after decades serving Uganda. But he had no other option. Sadly, though, Bbale passed away on the very day the fundraising was to start. Days later, a similar fundraising activity had to be undertaken for another television personality, Rosemary Nankabirwa, who needed Shs 100m for treatment in Kenya. At least Shs 110m was raised for Nankabirwa following a social media and car wash campaign by her former colleagues at NTV Uganda. Unfortunately, it came a little too late. On Sunday afternoon, she lost the battle. The two news anchors were both battling cancer. While the duo’s public profiles at least brought their plight to the national conscience, several Ugandans have similarly resorted to begging for millions of shillings to travel abroad and treat certain ailments because no Ugandan hospital has the capacity to do so. Over the last 12 months or so, The Observer has published appeals by at least five individuals seeking Shs 304.5 million for treatment abroad. This amount is the equivalent of what President Museveni spent on the car he gave Kabaka Ronald Muwenda Mutebi as his 60th birthday gift on Monday. The appeals often come after recommendations from doctors at the Mulago national referral hospital, who concede that they do not have the equipment, funding, etc to handle such cases. Among the ailments for which Ugandans often seek treatment abroad are kidney diseases, renal failure, liver transplant and different heart ailments. The head of the Uganda Heart Institute at Mulago hospital, Dr John Omagino, told The Observer on Tuesday that while the institute has developed capacity to handle most of the procedures for heart diseases, they do not have the funds for human resource and supplies. “The issue we are struggling with is the operational funds. We are operating the place at a capacity of 20 to 25 per cent instead of 100 per cent. The budget is only 20 per cent [of what the institute needs],” he added. Mulago’s renal unit, on the other hand, had 22 dialysis machines (which replace the natural filtration system of the kidney when that organ fails), meaning the hospital can only handle 30 patients requiring the service daily. A brand new dialysis machine costs $7,000 to $22,000 (about Shs 20.9m to Shs 65.7m) before taxes and transportation costs, according to various sources, while second-hand ones go for $3,000 to $7,000 (about Shs 9m to Shs 20.9m), which is pocket change for government. While ordinary Ugandans have to move around with begging bowls for contributions to secure good health services, the government has set aside $2.2m (about Shs 6.6 billion) annually for government officials to secure treatment abroad. The government says it also sets aside another $76m (about 227.2 billion) for ordinary Ugandans with ailments beyond the capacity of Uganda’s medical institutions who need to seek treatment abroad. A source who has tried to seek government funding for treatment abroad, however, intmated to The Observer that their request was turned down by the health minister on grounds that the patient was not a government employee. Efforts by The Observer to speak to senior government officials such as health minister Elioda Tumwesigye, state minister Chris Baryomunsi, and Health ministry permanent secretary Asumani Lukwago were futile as they could not be reached on their known phone numbers. Mid-last year, Mulago hospital signed an agreement with Yashoda Hospitals in India, which it hoped would culminate in Mulago’s ability to undertake kidney transplants. The Observer was unable to establish the level of progress made in the joint effort by the two hospitals. Late last year, President Museveni launched a $40 million (Shs 119.6 billion) facelift of Mulago hospital, which will entail re-modelling, restructuring and re-equipping the hospital. However, with Mulago currently receiving only a third of the Shs 100bn that its administrators say is necessary for effective service provision, the renovation alone will not be enough. The state of Uganda’s health facilities has been captured in so many studies that the government has all the information it needs about the problems that afflict the sector. For instance, a parliamentary health committee report of August 2012 identified inadequate health workers, poor remuneration, under-funding of referral hospitals, and mismanagement of funds as some of the challenges afflicting health service delivery in Uganda. And last week, the auditor general released a value-for-money report on regional referral hospitals (RRHs), which paints a grim picture of health service delivery across the country. The report exposes huge influxes of patients due to operational weaknesses, lack of specialised hospital staff to deliver services, and even an accumulation of expired drugs due to poor management of the hospitals. Yet, in its conclusion, the auditor general’s report says the situation can be redeemed if the leadership can get its act together across the country. “The results of the efficiency study of the operations of RRHs using the data envelopment analysis technique have shown that 50 per cent of the RRHs were relatively efficient in the utilisation of their resources,” it concludes. The question then, is whether the government can stop the discriminative approach of setting money aside for some individuals and leaving the rest of the country to beg for good health – often with donations trickling in slower than death. In Uganda Accused police officers have been put back to work on the job of Shs165b pension probe: Not again! Suspects in the pension scam Mr Christopher Obey, Mr Kiwanuka Kunsa and Mr David Oloka at the Anti-Corruption Court. The two detectives accused of pocketing bribes by the head of the police Criminal Investigations and Intelligence Directorate (CIID) in the Shs165b dismissed pension scam case have been re-instated on the probe team by the Inspector General of Police, Maj Gen Kale Kayihura. In his letter, dated May 26, Gen Kayihura deployed eight top detectives to assist the Director of Public Prosecutions (DPP), Justice Mike Chibita resurrect the investigations into the abuse of Shs165b. The new officers IGP assigned to the pension case are Commissioner Chelimo Beata; detectives Jimmy Aguma, Benson Wathum, Egido Otim, Beatrice Khainza and Emmanuel Wasswa. In addition to the six detectives, Gen Kayihura said: “D/SP George Komurubuga and D/AIP Moses Kato will also be available as you requested.” Gen Kayihura explained in the letter that he included D/SSP Aguma because he is an ICT specialist. In re-instating Mr Komurubuga and Mr Kato on the case, Gen Kayihura acted on the request of Justice Chibita who, according to sources at DPP made a “passionate appeal” to have the two detectives reinstated on the case. Justice Chibita had on May 19 requested the IGP to send him a team of police investigators, including the two detectives that CIID boss, Ms Grace Akullo had accused of pocketing bribes to author a parallel file which jeopardised the investigations. In an interview with the Daily Monitor in April this year, Ms Akullo accused the two operatives of instigating the collapse of the case where nine suspects were charged with masterminding the plunder of Shs165b belonging to pensioners. Asked why he requested the return of the two accused officers, Justice Chibita yesterday declined to comment on the new developments before looking at the contents of Gen Kayihura letter. He also said he needed to see his letter of May 19 before discussing the matter. Justice Chibita, however, promised to give the details to Daily Monitor today. However, it’s not clear whether Ms Akullo will continue to oversee the new investigation into the pension scam since her name was not mentioned in Gen Kayihura’s letter to the DPP. Ms Akullo has since been stopped from talking to the media without clearance from the IGP. Gen Kayihura, has since ordered an inquiry to establish how information about the investigations into the pension scam case and the internal feuds between the Force’s crime fighting units went to the media without his permission. MPs who talked to Daily Monitor at the weekend said the decision by IGP is “a slap in the face” of Ms Akullo, who last month alleged the two detectives (Mr Komurubuga and Mr Kato) were bribed by some of the key suspects who also asked if she had received her share. The two detectives have since denied allegations of pocketing bribes to compromise the investigation. But when Parliament committees: Legal and Parliamentary Affairs and the Defence and Internal Affairs made parallel inquiries into what led to the bungling of the pension scam case, they found that the second report in question was neither authored by the two detectives nor forwarded to DPP by the same officers. However, the MPs, according to sources, agreed in principle to “let bygones be bygones” and tasked DPP and IGP to reinstate the case. Police spokespersons Fred Enanga and deputy spokesperson Polly Namaye were not available to speak on the new developments and what role the CIID boss Ms Akullo will play in the new probe. Mr Komurubuga and Mr Kato could also not answer repeated phone calls. Kampala Metropolitan spokesperson, Mr Patrick Onyango, declined to comment on the matter and instead referred Daily Monitor to Mr Enanga and Ms Namaye whom he said speak on behalf of the IGP.